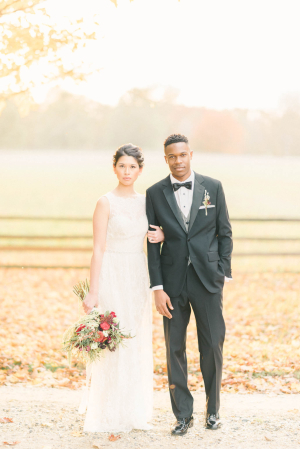 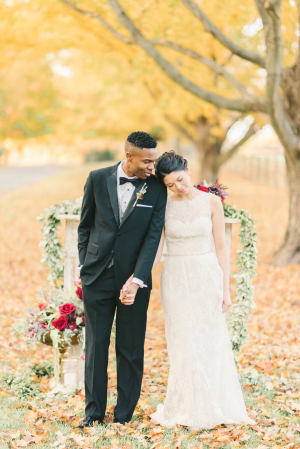 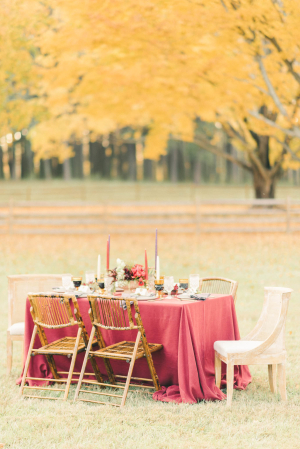 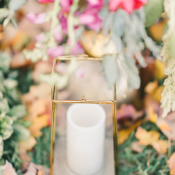 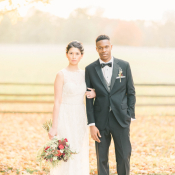 The warm light and vibrant yellow foliage of Maryland’s Eastern shore set the stage for a magical inspiration shoot designed by Kari Rider Events! 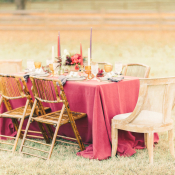 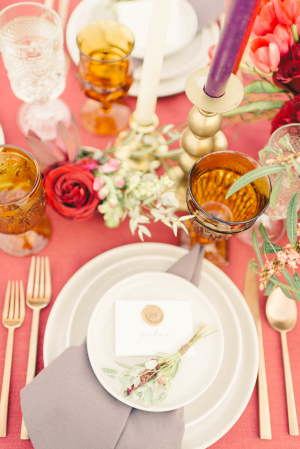 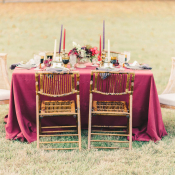 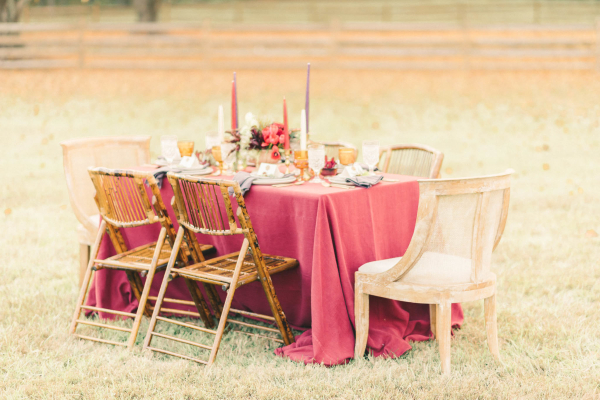 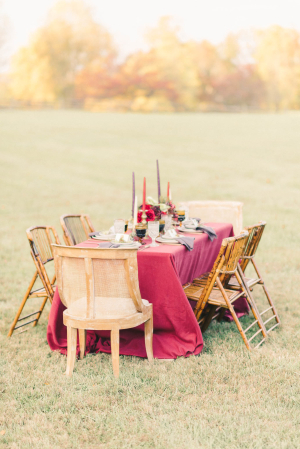 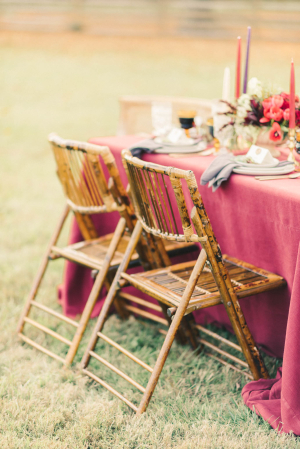 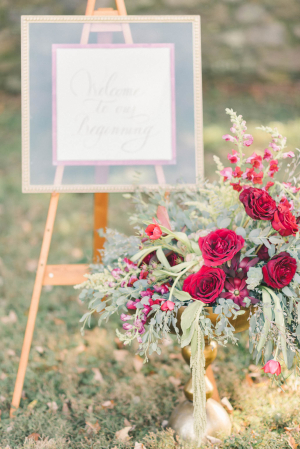 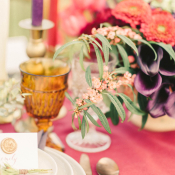 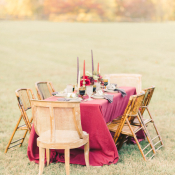 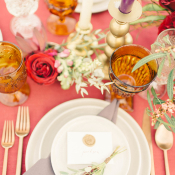 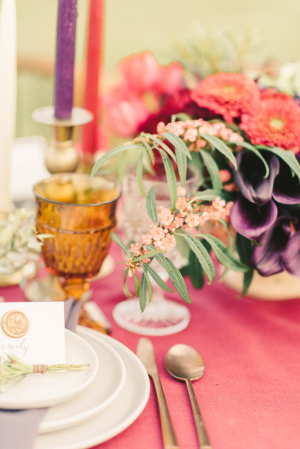 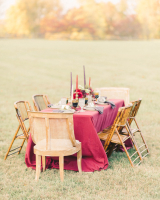 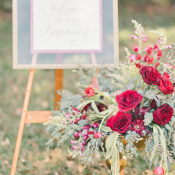 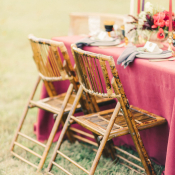 Rich shades of burgundy and berry paired with delicate gold and amber to create a vibrant palette befitting the stunning setting of Queenstown, Maryland’s Wye River Conference Center. 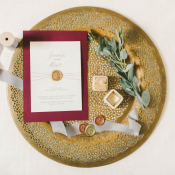 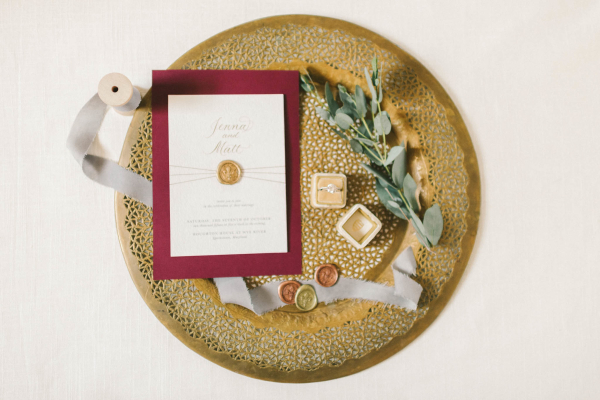 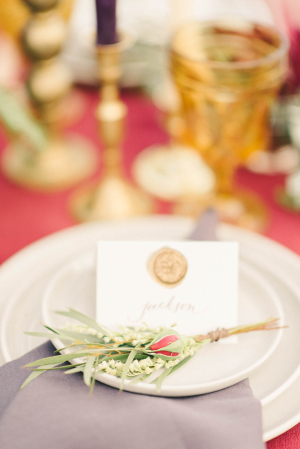 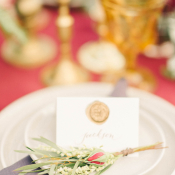 Elegant details abound, from wax seal place cards to hand-lettered script by Surcee Calligraphy and lush greenery. 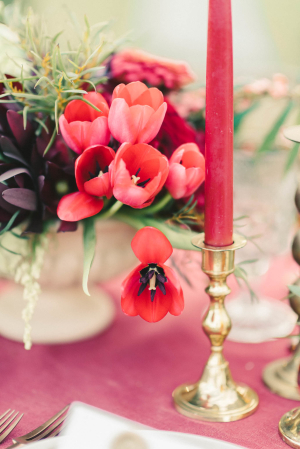 Colorful taper candles dressed the table along with an eclectic centerpiece from Intrigue Design & Décor. 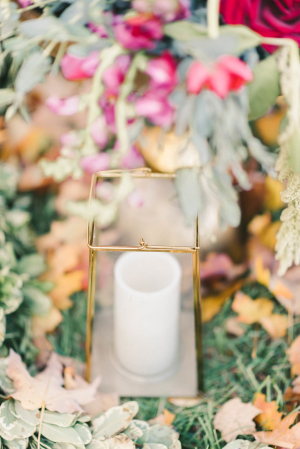 A simply-adorned floating mantle made for the perfect ceremony altar and gorgeous backdrop for portraits in the golden hour glow. 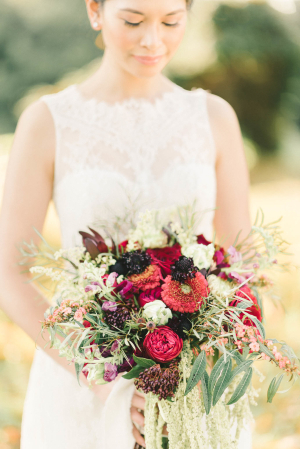 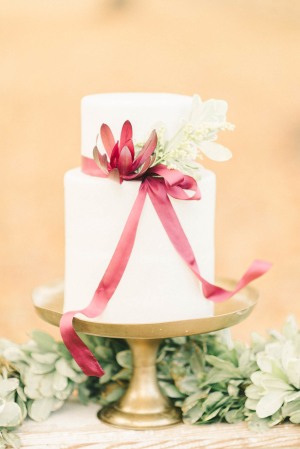 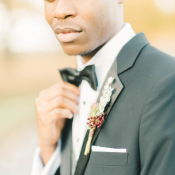 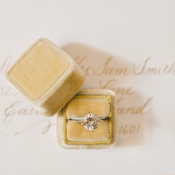 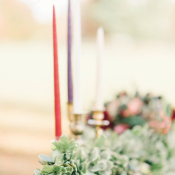 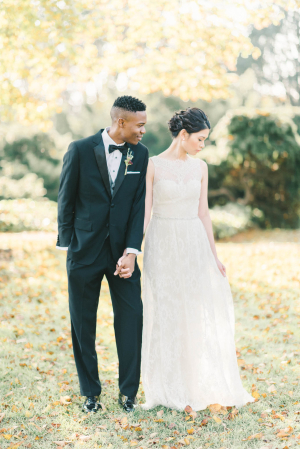 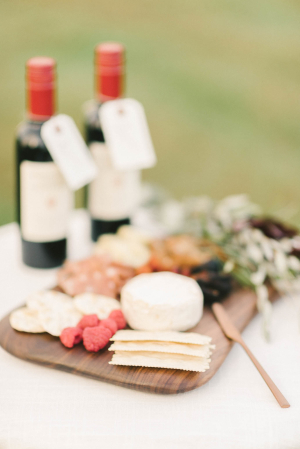 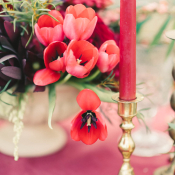 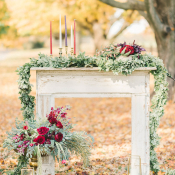 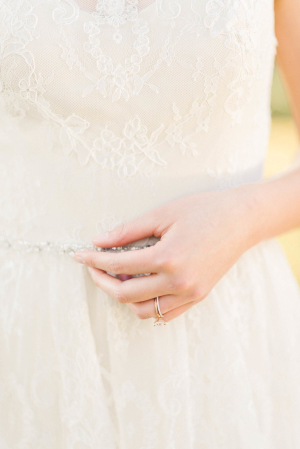 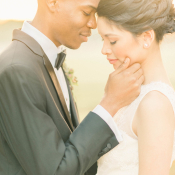 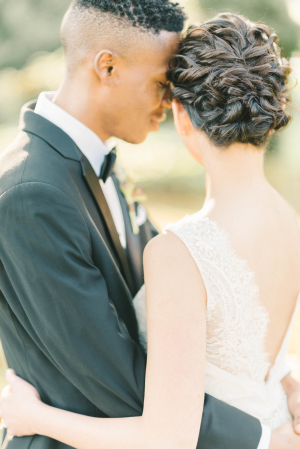 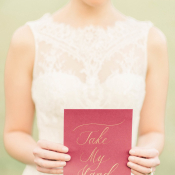 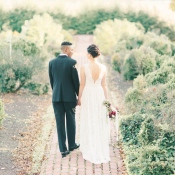 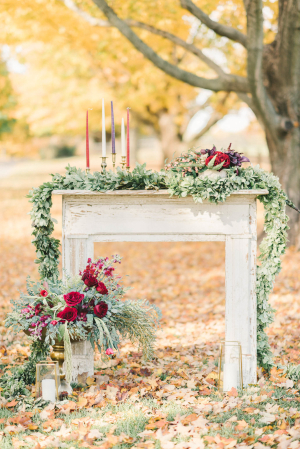 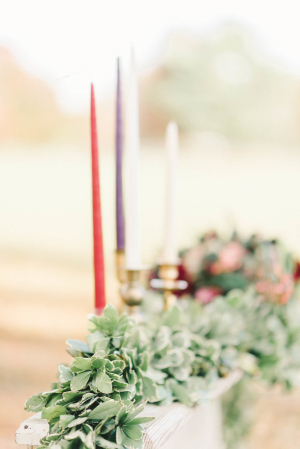 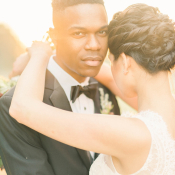 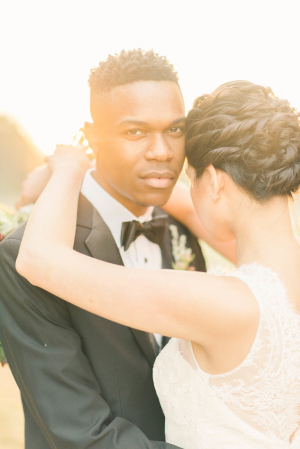 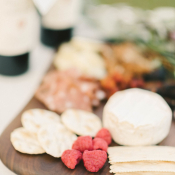 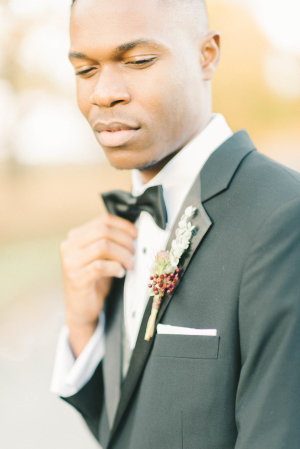 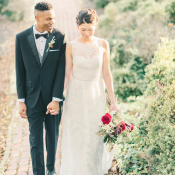 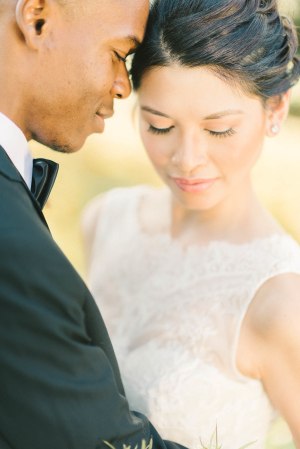 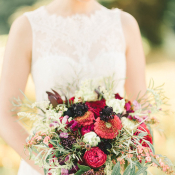 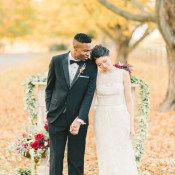 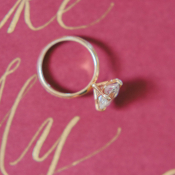 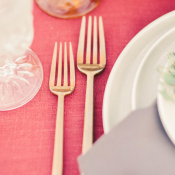 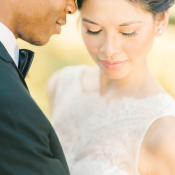 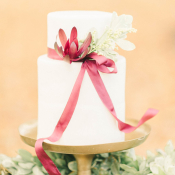 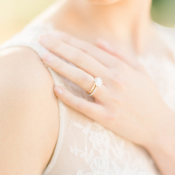 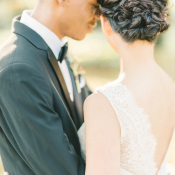 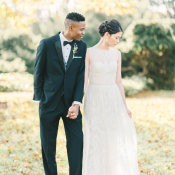 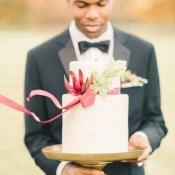 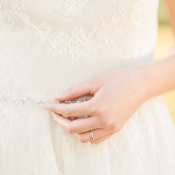 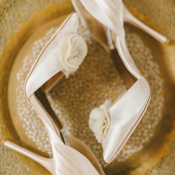 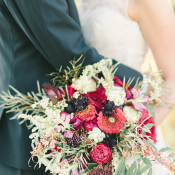 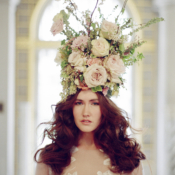 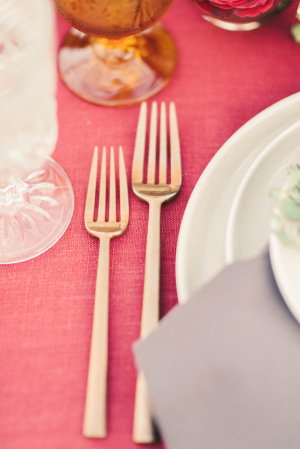 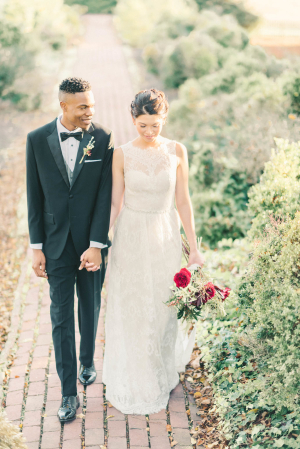 We adore every single detail in each of the romantic images from Elizabeth Fogarty Photography! 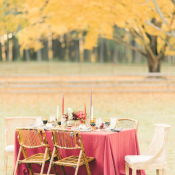 Photography – Elizabeth Fogarty Photography | Planning and Styling – Kari Rider Events | Venue – Wye River Conference Center | Floral – Intrigue Design & Décor | Tabletop Rentals – Borrowed Blu | Linens – La Tavola Linen | Bamboo Chairs – Select Event Group | Upholstered Chairs – Dwelling & Design | Calligraphy – Surcee Calligraphy | Gown – Christos Bridal from Garnish Boutique | Hair – Behind the Veil Beauty | Makeup – Makeup by Kevan | Jewelry – Susie Saltzman | Ring Box – The Mrs. 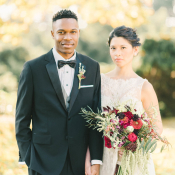 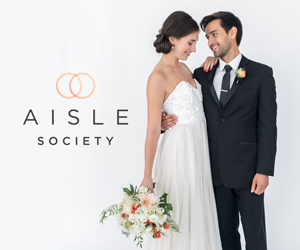 Box | Shoes – Badgley Mischka from The Little Shoe Box | Groom’s Attire – Capital Custom Clothiers | Models – Courtney Lee Boyd and Alex Loic Soumani of T.H.E. 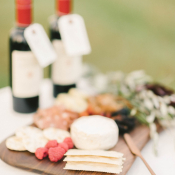 Artist Agency | Cake – Bay Country Bakery | Wine – Hair O’ The Dog Wine & Spirits | Cheese Board – Foxwood Co.